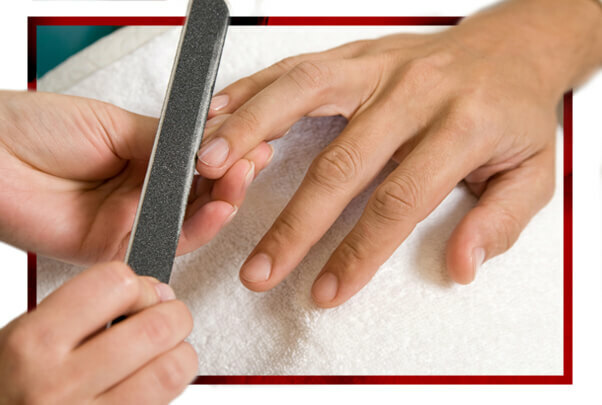 -The nails are trimmed or cut and the cuticle remover is applied. The hands are immersed in a container with water and soap. The cuticles are cut or removed. 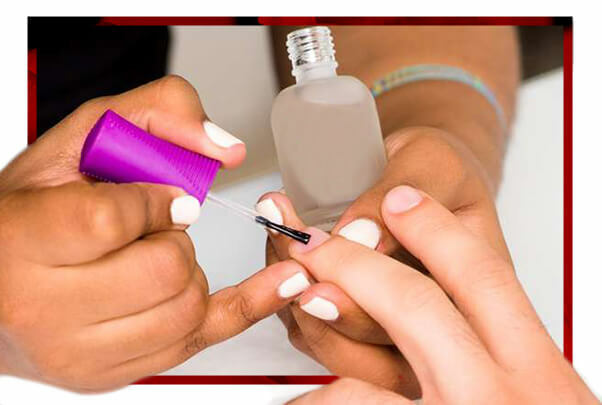 A nutrient oil is applied on nails and cuticles. A massage is given for the oil to penetrate. A peeling is performed to remove dead cells and leave the skin soft, then apply a cream giving a relaxing massage. It degreases the nail; it is applied a protective base and they are enamelled of the colour that the client wishes. It is finished with a protective sheen (optional). 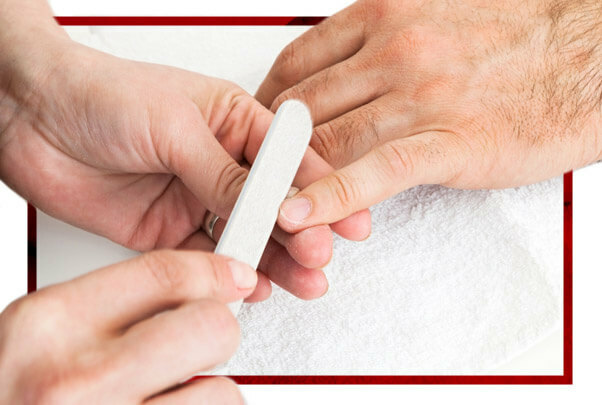 If you bite your nails in Nails & Co you will find the solution, we reconstruct them with gel or acrylic being very natural. Biting nails reflects insecurity, nervousness and lack of control and our hands are the first thing we offer a person to greet. Take care of them, come and see us and we will help you. 100% organic treatments, customized according to the needs of each client. Organic, nutritious and perfect treatment for swollen or inflamed hands and especially refreshing thanks to the properties of mint and vanilla. In the final step, we apply a moisturizing and refreshing cream that provides a sensation of immediate freshness. It helps to recover tired muscles, improves sleep quality and produces an anti-stress effect. All the products used in this treatment are formulated parabens-free. The maximum in hydration, rejuvenates the skin of the hands and prevents the appearance of spots. Paraffin provides high hydration in the deep layers of the skin, as well as treats muscle pains, contractures, tendonitis, arthritis, osteoarthritis. Apart from paraffin, we use oils from the citrus family that revitalize the skin. Vitamin E, vitamin C and aloe vera, moisturizing and rejuvenating ingredients that nourish the skin by restoring smoothness and elasticity and prevent the appearance of blemishes. An exfoliation with a rich blend of crystallized citric acid that dissolves and transforms into a penetrating wax, which helps reduce visible signs of aging.4. A paraffin bath is applied relieving pain and relaxing joint stiffness, while promoting deep penetration of essential oils. Hands massage with the application of a cocktail of moisturizing oils that soften and restore the natural elasticity of the skin. Natural and depigmenting treatment, that reduces dark spots and unifies the skin tone thanks to the properties of Argan oil and citrus and herbal extracts that contain a great antioxidant capacity for skin rejuvenation. We made a bath of natural salts of the Dead Sea with botanical extracts to purify all the imperfections of the skin. After an easy rinsing, it leaves the sensation of a unique hydration. We gently exfoliate the skin with an organic sugar compound of Argan oil and other essential ones. This is a clean scrub, without rinsing, it just needs a little water to dissolve the sugar. Reparation and deep hydration with a mask of high nutritive power, enriched with Argan oil. Recommended to protect and repair any area. We finish with a deep massage based on a lotion rich in organic elements and essential oils, that becomes oil with the activation of heat. It gives the skin a feeling of rest and freshness. Effective manicure in solving the problem of nail weakness. It is a perfect treatment to nourish them to the maximum and give back the strength they have lost. If you want a perfect manicure, first you must have healthy nails. We applicate the repair product, let it dry, and then cure in a lamp. Apply the repairing product, let it dry and cure in a lamp fusing the oil of the product with the nail and getting stronger. Intensive treatment enriched with argan oil and an emulsion rich in collagen to penetrate and moisturize the skin. 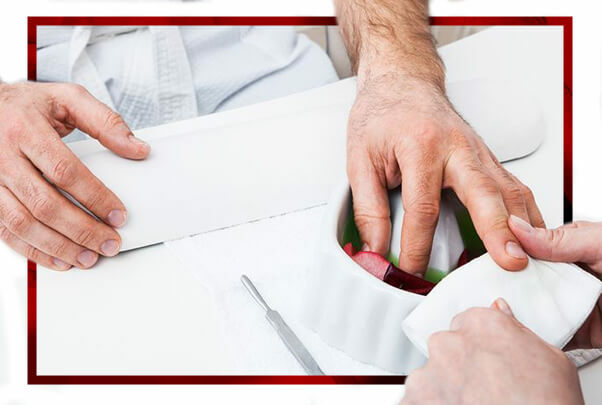 Before performing the manicure you will wear gloves enriched with collagen, then we remove the tips of the glove and then we perform the manicure. Finally the glove is removed and a massage is given. The gloves also protect up to 98.9% of UV rays if a semi-permanent manicure is performed.